lead workshops, study with traditional musicians and folklorists, play for and call contra-dances, appear on television, and regularly receive standing ovations for their concerts during trips to festivals and camps such as the Hindman Settlement School in Eastern Kentucky, the Augusta Heritage Center in West Virginia, the Old Songs Festival in New York, the Ozark Folk Center in Arkansas, and the Swannanoa Gathering and the John C. Campbell Folk School in western North Carolina. 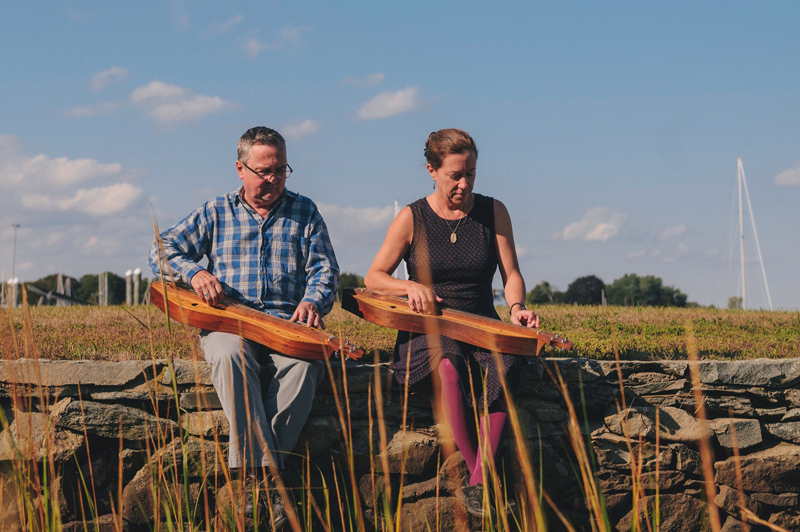 Their exquisite joy and musicality blend with their scholarly sides, showing a deep understanding and appreciation of folk music and its key players. They, in particular, count long-time friend and mentor Jean Ritchie (1922-2015) as a great influence in their musical and personal lives. In their 31-year collaboration, Aubrey and Elwood have produced seven books, a film, and thirteen recordings which receive international airplay.